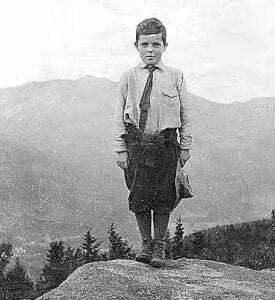 I became acquainted with Jim Goodwin in 1969, in my first summer as a crew member at the Adirondack Mountain Club’s Johns Brook Lodge. Thanks to the generosity of the Goodwin family, we used their “summer place” (the last house before the trailhead, appropriately) as a base of operations, partly because one of Jim and Jane’s boys, Peter,was on the crew with me (their older son, Tony, also had been a “hut boy,” as we were called)— but mainly because that’s the kind of people the Goodwins were. Anyway, I got ready to assemble my load for the hike in and discovered that I didn’t have enough rope to secure the boxes to my pack frame. So down the short path to the Goodwin house I slunk, to beg for more rope. This was like a baseball player dashing onto the field without his mitt. But I was a 19-year-old rookie, and Jim didn’t criticize; he just dashed off—an energetic, broadshouldered, compact guy with a shock of white hair—and returned moments later with several hundred feet of clothesline. We hacked off the needed length, and with some cheery exclamations that made me think of a Santa’s elf, he sent me on my way. 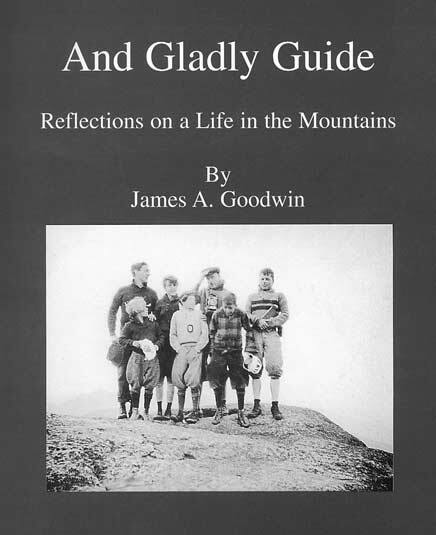 Recently, I have become much better acquainted with Jim Goodwin through his memoir, And Gladly Guide: Reflections on a Life in the Mountains. According to his son Tony, who is following in his father’s footsteps as a trailblazer, guide and guidebook author, Jim Goodwin began compiling his memoirs long ago and worked on the manuscript “for at least 20 years,”with no thought to publishing it. But several family members wisely persuaded him to make the book public. The story, though, is Jim’s alone. 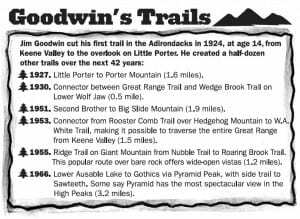 The book is laid out mostly chronologically, although like a worthy Adirondack hike it plans to get from Point A to Point B and eventually does, but with many stops and short detours to find the best route and savor the views along the way. By the time we’re through we’ve had a look at Keene Valley and the mountaineering life it inspired, from a plain-spoken, dryly self-deprecating participant. 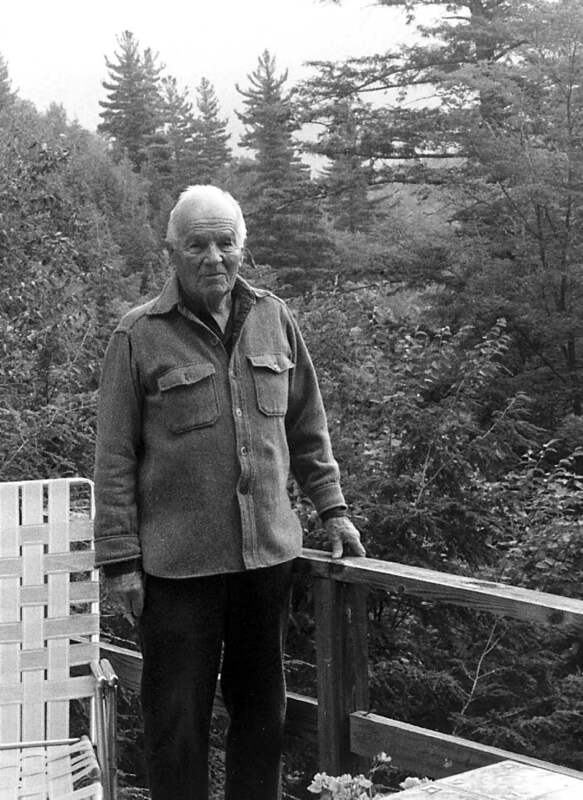 Jim Goodwin at his Keene Valley home in the late 1990s. Jim Goodwin first came to Keene Valley when he was 9. It was love at first sight. From Johns Brook, which he calls the most beautiful stream in the world, to his first ascent of his “Holy Grail,” Mount Marcy (which he would ultimately climb 195 times), he was hooked. So hooked that by the age of 11 he was guiding hikers for 50 cents a day, and at 12 this wunderkind took his first paying client up Marcy. Meanwhile, Jim shares a vivid description of Keene Valley in the 1920s. He, his two sisters and their mother spent the winter of 1920-21 living on a farm there. 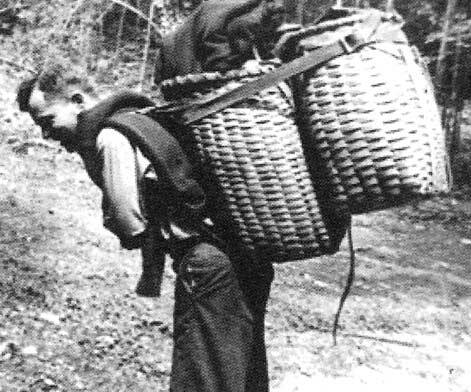 They went to a one-room school, did farm chores, observed logging operations and confronted bigotry when told that as WASPs they should have nothing to do with the Irish children. One picture that emerges is of pre-Depression Keene Valley as a much more open landscape with extensive logging far up the slopes and numerous small, more or less successful farms in the bottomlands. The young Goodwin was also able to make friends with old-timers like the guide Mel Trumbull and the demi-hermit Mel Hathaway, who in 1924 agreed to let his camp be burned to make way for Johns Brook Lodge. Now in his 90s, Goodwin is one of the few remaining links to these people whose likes we will not see again. The core of the book involves wonderful tales of Goodwin’s guiding from his headquarters in Keene Valley, where he continued to spend summers while in college (curiously, his days at Williams College are barely mentioned) and during a long career at a private school in Connecticut, where he taught English, history and earth science. 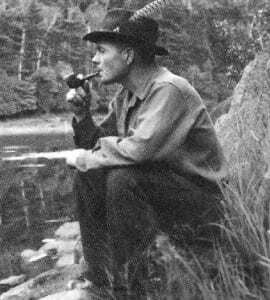 We read fascinating accounts of his introduction to winter mountaineering, his pioneering of numerous rock-climbing routes in the Adirondacks with the legendary John Case, and his years of trail building and maintenance in the Keene Valley/Ausable Lakes area with the Adirondack Mountain Club and the Adirondack Trail Improvement Society (ATIS). There are also chapters on guiding and climbing in the American West and the Canadian Rockies. Two of the most riveting chapters have nothing to do with the Adirondacks. They describe Jim’s years as an Army mountaineering instructor and combat medic with the 10th Mountain Division during intense World War II action in Italy. Trying to visualize these war stories of danger and adventure on Riva Ridge and Hill 913, one wonders how anyone survived. The first thing Goodwin did after returning home from the war was “to perform a Holy mission”—he ran up Mount Marcy, in an hour and 40 minutes from his home in Keene Valley, a distance of more than 9 miles. He was in his favorite place on the globe. He would continue to guide into his 80s, bring young people to the mountains from both his school and inner-city Hartford, start a rock-climbing school, contribute to the Adirondack Mountain Club’s High Peaks guidebook for nearly 30 years, serve leadership roles in the Adirondack Mountain Reserve and the ATIS (both headquartered at St. Huberts), and sort out land boundaries for AMR’s sale to the state of land that included 10 summits over 4,000 feet. His memoir is graced with 40 old photos, many of them from family albums. All that Jim Goodwin has done in and for the High Peaks, he has done not just gladly, as the title suggests (it alludes to a line in Chaucer), but with unabashed devotion. And so he has made the region better for all of us. 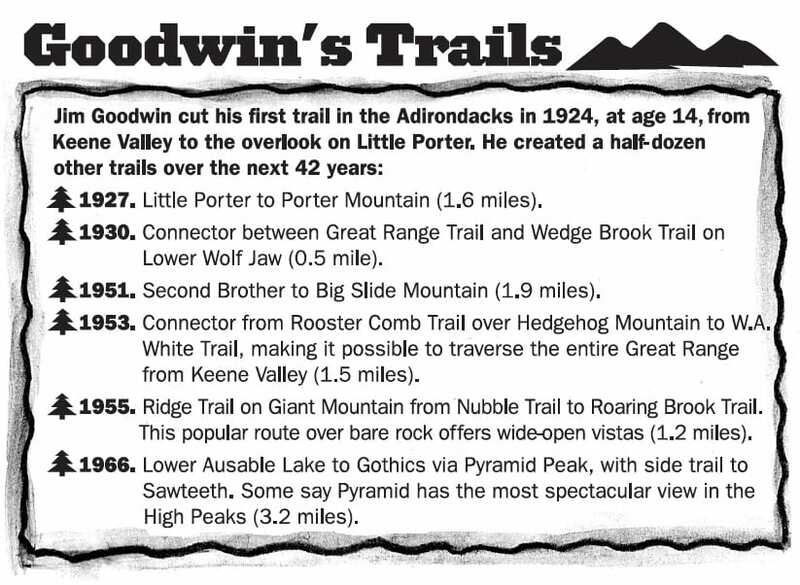 Parts of this review were prepared for the Adirondack Mountain Club’s magazine, Adirondac.